I told a friend over lunch recently that we are all working for two companies — Google and Facebook. 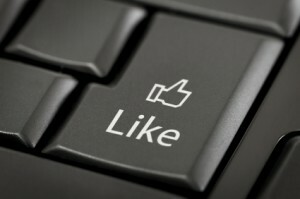 All that really matters these days is how many people “like” you on Facebook and your page ranking on Google. Of course, that’s today. Tomorrow it will be something else. We move when we’re told or you are out in the cold.I have been advised by smart types to “boost my web presence”. It’s the only way to get seen and heard, I’ve been told. Tweet, tumble, broadcast, syndicate, post. Do it! Do it now!So off I go to Elance, the online outsourcing website, to see who can help “boost” me. It seems everyone can. There is a virtual army of people out there just waiting to help me optimize, spin and link my way into Facebook fame and Google glory. I contact a couple of elancers and they all seem super perky to help. Every email starts with a casually excited “Hi!”.As I scroll though the thousands of experts neatly divided into business categories that did not exist 10 years ago, I think to myself, “there has got to be a better way.” Apparently not. The algorithms that drive the machines that determine your cyber fate is a very dark art. It’s part science, part alchemy. Mix five parts tweet with one part daily blog and syndicate frequently to get one page higher on Google.How do you know it will work? You don’t. That’s what keeps us all running through the maze looking for the cheese. This has me reminiscing about the Farah Fawcett poster I had on my wall growing up. She could have sold me anything and I would have followed her anywhere. There was nothing magic about it. It was old school and it worked and it was good. But everything has changed, and that’s that. I need to stick to the regimen. So in addition to exercising and eating right, I am blogging, tweeting, posting, syndicating, flickering all in the hope that you will “like” me. I definitley “like” you and have since we met. But I do agree with the others in that this Social media buzz of tweeting and facebook is nothing more than email marketing to me! think it is fine as long as there is something to market.Otherwise I think it can be a waste of precious time. For what it is worth, that is my point of view !I hope all is well with you. Ruben, as with Jeff I know you and also know Jeff and support his comments. So far I somehow have totally resisted Facebook, Twitter, etc. with the exception of LinkedIn which I use strictly for professional purposes. As Jeff says moving on to other pastures with the most e “friends” seems to me like the old pre e days of the objective of having an empty in box. I guess that is the equivalent today of having opened and responded to every email – perish the thought. I think I would rather go hike a trail her in our glorious autumn in Colorado. It is a shame that the cyber capitalists have taken a perfectly amorphous word and turned it into a metric. I suppose that the nature of the word is what makes it work. “Liking” something is so non-committal. These days, a vague endorsement gets you there. But don’t worry, Ruben. I really like you; although I don’t really, really like you. I am with Jeff on this one. Oh yeah, and what is the new ICD-10 code for Facebook Fatigue Syndrome (FFS)? I am sure if we just add a digit to the existing obsessive Compulsive Disorder (OCD) code in DSM, we can use it to describe one for Tweeting Compulsive Disorder (TCD), another for LinkedIn Contact Accumulation (LIA). Ruben we love ya like a brother, but dude… you need therapy. I’ll drive you to the appointment. I am sure Marcy can find a concierge therapist we can send you to, maybe even one that will come to you…for a fee. Stop following Jeff, Maria. I do need therapy. Looking for love in all the wrong places it would seem. Thanks for writing. But I’m pretty sure that whoever dies with the most “likes” doesn’t win. They still just die. It depends on what you want to do, Ruben. If everyone in the world tweeted this blog post and liked you on Facebook, would it really matter in a month? How, exactly, would you parlay that into success? I noticed you because I actually “know” you … and of the 150 or so people I “know” on Linkedin,very few actually post anything there … so when you did, I noticed. I stopped looking at Tweets a few months after I started. I stopped paying any attention at all to Facebook about six months ago. I figure if I do all the other things I’m supposed to do, and do them right — and they’re mostly all things I could do ten years ago — and do them at the right time, I’ll get noticed. And the “likes” will just be some weird way of keeping score. Could not agree more Jeff. Had a lot of people of a certain age laughing over this because they cannot be bothered trying to keep 10 coversations going at the same time. Its wearing me out already!